Pinnacle Systems: The #1 Selling Video Editing Software - Pinnacle Systems is a division of Avid (NASDAQ: AVID) and is well known as the industry leader in video editing software. Their flagship products (Studio and Liquid) enable consumers to edit, enhance and share their videos with friends and family. Their award-winning, high-quality video editing software is ideal for consumers, businesses, hobbyists and professionals. Founded in Mountain View, Calif., in 1986, Pinnacle Systems is a $340 million company with offices around the world and product distribution through retailers, distributors and the Internet. By becoming an affiliate, you can earn 14-20% with the #1 selling consumer video editing software* and world-class video and entertainment hardware at price points of $50 to $1,000. With an Average Order Value of $100+, you’re sure to make good money from your website visitors, email recipients and PPC ads. We offer the longest cookie (120 days) and the highest payout for the lowest monthly sales (20% for sales of $1,500/month) compared to any other video editing software company. Proline Hockey Picks - proudly presents a revolutionary new Hockey Betting Software program which accurately predicts the outcome of NHL hockey games, before they even begin. Countless hours have been spent analyzing years of prior statistics in order to formulate an algorithm that accurately determines not only the expected winner of a hockey game but whether the game will exceed the set total number of goals or go under the set total number of goals. Although this betting system was originally designed to “BEAT” the very popular Canadian lottery known as PROLINE, our software will produce the same winning results for those Bettors that prefer to wager through Sportsbooks. Earn a Sign up bonus of $10.00 and 25% commission paid on sales. Psychic Pops Software - Free Exit Popup Script Software Download. Getting traffic is one of the essential tasks all internet marketers must do! But what bugs me is that after all the hard work getting people to a website, the majority of them won't stick around long enough to have made the work worth while. What if you could get a second chance at all these website abandoners? A way to pull their attention back to your site, to capture their email, or give them a special discount or alternative offer before they're gone for good! Earn $14 per sale paid immediately and directly to your Paypal Account by promoting high-value free Psychic Pops Software, a desktop application you can use to generate the little 'exit traffic salesmen'. As soon as they get a sense someone is about to abandon your site they jump into action, funnelling the traffic where you want it to go before its gone forever. It's time to take action. Invite your friends to download and be paid on time, every time. Qhub.com - is now the leader in Q&A and FAQ Software. It's the simplest way to add fully featured, beautifully designed Q&A and FAQ pages to any website. It's also an awesome way to set up your own online community, in less than 5 minutes. Qhub is fully hosted with nothing to download, has almost 7500 active customers, and is used by pretty much anyone - business, group, club or society - to really engage, understand and help their users and members. And we ranked number 1 in Inspired Magazine's Q&A Website review! To launch our new Qhub.com Affiliate Program, we're offering : A strong 50% on all sales to all new affiliates. With sales amounts between $19 and $79, that's a commission to you of between almost $10 and $40 per sale, ongoing! Yes, because Qhub is subscription based software, you get paid every month as long as the customer remains subscribed. QInvoicing - is a software that includes all invoicing features (complete purchases, sales and warehouse management) as well as automatic management of osCommerce on-line shop: upload products data (categories, manufacturers, descriptions, prices, stock and photos) and download all data about clients and orders directly into your invoicing database. All features are completely automatic without the need to retype any data. The affiliate program pays $0.10 per QINVOICING demo download & 30% on sales. Qresolve - Online PC Support (PC / Mac Instant Repair Service) PC / MAC PROBLEMS FIXED. - Help boost system speed with a computer tune-up - Protect your identity with spyware removal - Safeguard your computer with virus removal - Support for Printers, Digital Cameras, Mp3 players. - Virus, Spyware removal and more. 7 Days Money back guarantee! 24x7, 365 Days any time phone support to reach a fully-trained digital expert who will help you tune up your PC or Mac and make it run like you wouldn't believe...resolution guaranteed, or your money back!! 180,000 consumers have given us a 96+% customer satisfaction rating. Receive 37% commission from Qresolve! Ribbet - is a fun and easy to use online photo editor and collage maker with beautiful filters, seasonal effects, advanced photographic touch-up tools, stickers and fonts. Our site lets you do everything from basic tasks like cropping and auto-fixing your photos, right through to sophisticated photo manipulations such as Clone and Curves. It’s simple enough that users with very little technical knowledge can work with it, and also caters for more sophisticated users including professional photographers. We offer a generous 40% commission on the purchase of a Ribbet Premium plan. Publishers will receive 50% commission on sales >= $1,000 each month. RightWriter Grammar Analysis - RightWriter solves your writing problems(and the problems all of your web visitors have too!). People judge you by how well you write. If you want to be taken seriously and respected by others, you must use good grammar. RightWriter instantly solves grammar problems. This is the perfect affiliate option for sites with college, high-school visitors, business people, bloggers, writers, anyone who communicates with writing. 40% commission, average sale $39.95, banners and articles available. RiteTag - The app for Hashtag suggestions. Get instant hashtag suggestions for images and text, anywhere on the web and mobile. Must-have for Instagram and Pinterest. Based on real time hashtag engagement. Recommend RiteTag to your audience and get $9.80 for each customer who upgrades to RiteTag Pro Plan. Route4me - is a paid app that maps out routes for your multi-stop trip. Instead of driving back and forth across town, or unknowingly taking the long way to run errands, you can map the fastest or shortest path with Route4Me. Once you take the optimized route, you'll save 30% on gas and time. Route4Me can optimize a route for up to 200 addresses -- a $100 per month option that seems pointed at heavy-driving workers like truckers -- but a 25-address, 25-route plan is available for $15 per month. We supply all the tools for you and handle all the fulfillment details, such as order processing, shipment, billing and support. All you have to do is to refer customer to us - and make money. Aside from the variety of banners you can download, we are open to assist you in any effort you would like to make to increase your chances of selling our product, and therefore, we hired an affiliate manager to help you to get started. Commission starts at 15% of sales value and rises to 25% as you make more sales. Roxio Software, UK - Sell award-winning digital media software from Roxio for your PC or Macintosh. Top selling products include downloadable and boxed versions of Easy Media Creator 7.5, Easy DVD Copy, Toast 7 Titanium, and Toast with Jam 6. Roxio Software are looking for strategtic partners that have a highly targeted web site audience in the digital media industry (i.e. cd burning, photo editing, video editing, audio editing, and dvd copying). Successful affiliates will do a combination of search engine marketing and product reviews. Earn up to 20% commission on sales referring from your web site. ScanMarker - The Incredible Digital Highlighter. Scanmarker is an incredible gadget that helps to instantly transfers printed text into your application or web browser on your PC or Mac computer . The new Scanmarker Air lets you capture, digitize, organize and share text from any paper document, transferring it wirelessly to your computer or smartphone – anywhere, anytime. Scanmarker Air perfect for anyone needing instant scanning at home, in the library, or on the move –making it so easy to capture key points, summarize, arrange, and revise your notes on your computer or mobile phone. Scanmarker-Air works with iOS, Android, Windows and Mac OS X systems. We have setup industry leading commission rates at 20% per sale. Even the cookie tracking period is set at 180 days. Scrapbook MAX! - is the fun and easy way to create great looking digital scrapbooks on your computer. You can combine photos, embellishments, journal text, speech bubbles, music and more. Ready-to-use scrapbook themes and layouts help you get started. It even includes photo retouching tools like red-eye reduction, torn edges and shadows. Print your scrapbooks in high-res color, or publish to video CD, slideshows, screensavers, web and more. This easy-to-use scrapbooking software makes it fun! Earn 20% commission on sales. Scriptoffice - offer top selling scripts, whether you are running news site to generate online income through affiliate, coupon, classified, press release our scripts will save your time and help generate high income. Affiliate Niche Script combines the power of Amazon & eBay’s API in one powerful, flexible, easy to install Affiliate Store Builder. It includes a fully customizable templates, Amazon + eBay + AdSense integration, Advanced SEO settings, and many other useful settings and plug-ins. With this script you can create your own online store and earn up to 15% on amazon and earn income from eBay, Google AdSense and others. This script is easy to use and easy to integrate to any design. Our Classifieds empowers your on line community with effective tools to attract and retain more visitors to your web site. It enhances your web site with inclined site traffic, automated content creation and additional revenues.Our Classifieds Script is the best choice for your online auto sales business. Number of advanced features, easy customization, and powerful administration panel makes this classifieds software perfectly suitable for auto classifieds portal or for auto auction website. By Selling Coupons beside with Full page Advertisements for your Advertisers and Clients you boast the aptitude and flexibility to tender a more well-organized, cost cutting, earlier and more supple way for your clients to promote, somewhat than marketing in a local broadsheet. Your customers will be grateful for the easiness of creating and control their Full Page Coupon and Business advertisement Page right away online 24 hours a day 7 days a week. Press Release Script is the most innovative solution you need to launch a customizable content driven web site in the shortest period of time. From user-friendly customization options to easy content creation process, Your Press Releases Site prides itself in content authoring for its users… regardless of technical limitations. Our news script empowers your on line community with effective tools to attract and retain more visitors to your web site. It enhances your web site with inclined site traffic, automated content creation and additional revenues.Our news Script is the best choice for your online news site. Number of advanced features, easy customization, and powerful administration panel makes this classifieds software perfectly suitable for news portal or website. As an affiliate of Scriptoffice, you can earn 40% commission per sale made through your efforts. SEOprofiler - is a cloud based Internet marketing software tool that helps business owners to get higher rankings on search engines such as Google and Bing. SEOprofiler is the main product of Axandra GmbH. Our company that has been developing Internet marketing solutions since 1997. We developed the first website promotion tool for Apple Macintosh computers, one of the first pay per click optimization software tools and the extremely popular Windows SEO software tool iBusinessPromoter (IBP). Internet marketing is our passion. This is a fast-changing market. Adaptation to constant change and continuous improvements are the key to success. We continually improve SEOprofiler to make sure that it works with the latest changes of Google and other search engines. We pay our partners up to 50% per sale and we pay on time, every time. Sing & See - is the singing training software that teachers and singers all over the world are now using to improve their learning experience. It shows the singer and teacher visual displays that represent the voice - pitch, loudness, and timbre. This direct visual feedback enhances the spoken feedback that teachers give their students, and allows singers to see patterns in their voices that they might otherwise miss out on hearing. Our goal with Sing & See is to provide people all around the world with innovative technology to help them improve their voices and enjoy their singing more. We have set up this affiliate program to create the opportunity for more people to get involved in the business of finding customers for our software. Our hope is that you will not only find it profitable, but will gain satisfaction from helping to teach the world to sing - better! Earn up to 40% commission for every sale referred! Smart Author Software - Software for Writers. 22 Downloadable Program Package that has Something for Everyone-from Creative Kids to College Professors! This powerful writing package has something for everyone, from creative kids to college professors writing abstracts. Even professional writers can benefit from these unique tools to get their creativity flowing. With Smart Author, creativity comes free. Every module in the package has years of valuable experience distilled into it. All the insider secrets of writing articles, essays, reports, resumes – virtually any writing task - are built right into the software. These modules are truly the Cruise missiles of the literary world. There’s a Smart Author module just waiting to nuke your writer’s block now. The best part of having Smart Author is the speed with which you can produce really great copy, regardless of your experience level. Good writing is literally a few clicks away. Remember, there is a profitable market out there for good writing. Smart Author is your key to breaking into this lucrative field.Software Bonuses for All Affiliates. The writing software niche is a good one, since it's rather unusual, but can have several target markets. Sells well on ppc. Smart Author buyers range from parents to business people, published to newbie writers, teachers to college kids. Affiliates earn a full 50% for each $197 sale! Smith Micro Software - Smith Micro Software develops and publishes award-winning graphics, animation and productivity solutions for Macintosh and Windows. Join the Smith Micro Software affiliate program and earn excellent commissions while offering our industry leading software products: StuffIt® - complete compression solutions for your PC, PDA and SmartPhone; VMware Fusion™ - seamlessly run Windows applications on your Mac, AquaZone 2 Open Water, your virtual aquarium for Windows; Poser 7® - Discover the art of 3D figure design; Anime Studio™ - Create your own cartoons and animations; Manga Studio® - The world's best-selling manga and comic software. The Smith Micro affiliate program offers excellent earning potential: Earn 20% commission on sales of our graphics products and 30% commission on sales of all other Smith Micro products. A product data feed offering all Smith Micro products, including the new graphics products from e frontier. Access to great deals, coupons, and exclusive offers on all products. 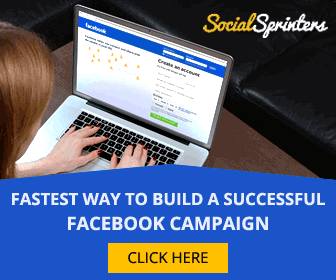 Socialsprinters - is the industry leading SaaS provider and the fastest way to create applications for Facebook business page. Subscribers can add professional applications to their Facebook Page and start collecting new leads, sales or just entertain their customers. Everything in a few minutes. 8 reasons why customers buy from us: Rocket sales! Show products on Facebook page with our apps and increase the sales; No expensive market surveys! Get all the information needed about the customers; The number of followers on Facebook page will rapidly grow; Get new subscribers for newsletter; Create own Facebook apps and get fans engaged; Increase the popularity of brand; Keep the overview of statistics in real time; Turn fans into customers. Our affiliate partners earn 30% per sale. Please note that our cookie tracking period at set to ‘never expire’ so, you will get paid for all subscriptions and renewals. Sonarworks - We are Sonarworks and we are on our way to become a standard in digital signal processing. We make a software which currently helps tens of thousands of studios worldwide. 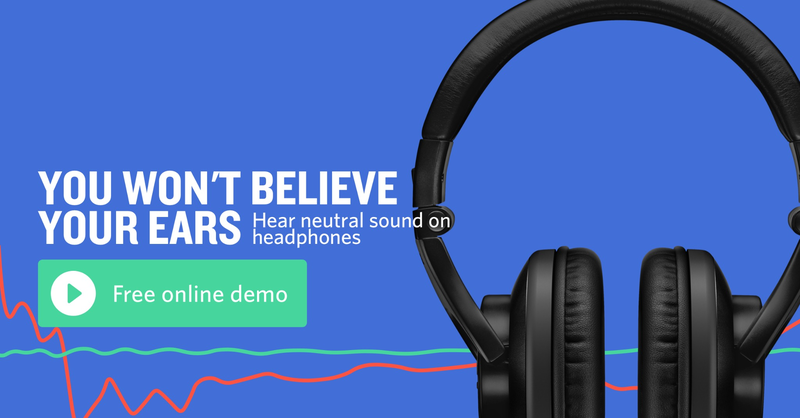 Our software calibrates headphones and speakers to make the working curve entirely flat so that mixing engineers can work with full confidence that their mixes will translate well. Our affiliate program is rapidly growing and we are looking for even more active individuals and entities to promote our products. We pay a 20% per sale commission to our affiliates. Average affiliate order is above 100 EUR. We have a great affiliate support system in place and we constantly provide help and assets for promotional purposes. Join now and help foster the next sound revolution! SpyZooka - started in 2004 as the first and still the only antispyware software that guarantees 100% spyware removal. This means the highest converting antispyware offer for you! Check out some of the other great benefits we offer our affiliates: We have no keyword bidding restrictions! SpyZooka is available worldwide as an immediate download. We regularly split test and update our creatives. We give you a 90 day cookie and unlimited actions. You'll be provided with a regular newsletter with tips and new keywords to use in your campaigns. Our order size ranges from $29.95 to $179.95 and our starting pay out is 40%. The SSL Store - TheSSLstore.com is one of the largest SSL certificate providers globally. Platinum partner for VeriSign, GeoTrust, Thawte and RapidSSL. We buy SSL certificates in large quantities and pass the savings to you. All of the certificates you buy from us are the same exact certificates if you were buying directly from VeriSign, GeoTrust, Thawte or RapidSSL. We monitor the SSL prices very closely and adjust our prices accordingly. However, if you find it cheaper elsewhere please let us knows, we will match or beat the competitor’s prices. Our price match guarantee will save you money and allow you to manage all of your certificates in one place. Earn 10% for Retail Customers - The simplest, most affordable way for business owners to earn their customer’s trust, increase sales, and protect personal and financial information using SSL certificates; 5% for Enterprise Customers - Streamlined solutions for Corporations, Educational Organizations, Government Agencies, State, County and City Entities, and Civic Organizations to manage all their SSL certificates under one control panel; or 5% for Resellers - The industry’s most flexible and lucrative program for IT and web solution providers looking to resell SSL certificates.